July 7, 2015 - For the first time in history, the U.S. Export-Import Bank (Ex-Im Bank) fails to receive congressional reauthorization. This is because congress skipped out of town for summer recess without taking a vote before its July 1st deadline. As a result of congress' failure to act, the U.S. Ex-Im Bank is not authorized to make any further loans to foreign buyers who wish to purchase U.S. goods on credit. This will now force many foreign buyers of American goods to look somewhere else, such as the Chinese markets. This will hurt workers and companies across this county that rely on their goods being sold overseas. The U.S. Ex-Im Bank is the official export credit agency of the United States. Its purpose is to provide financing to foreign buyers of American goods. The bank was created in 1934, by President Franklin D. Roosevelt under an executive order and in 1945 congress established the bank as an independent agency under the Executive Branch of government. As a result of congress' failure to act, Many companies such as Boeing will have great difficulties selling its aircraft to foreign buyers. All U.S. Ex-Im Bank preexisting loans, guarantees, and insurance policies will continue in full force and effect. The Bank will continue to manage all transactions in its portfolio until maturity, including issuing waivers and amendments. 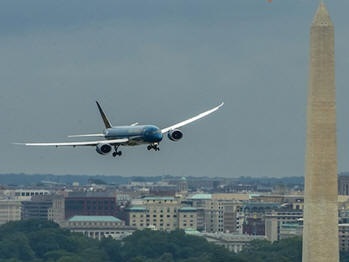 At an event held at Ronald Reagan Washington National Airport, Boeing Commercial Airplanes President and CEO Ray Conner presented Vietnam Airlines' first 787 Dreamliner, an aircraft that was financed in part through U.S. Ex-Im Bank financing. Vietnam Airlines had indicated that it had planned to purchasing an additional 16 Boeing 787 Dreamliner. However, the certainty of this purchase is now up in the air along with the continued employment of many of the workers at Boeing's Washington and South Carolina factories. After the event, Conner said, the loss of US Export-Import Bank financing would put Boeing at a huge competitive disadvantage since its rivals still have access to such financing support. 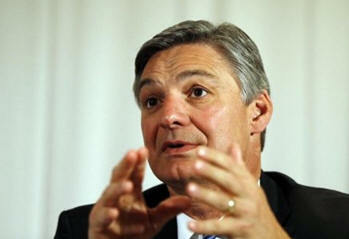 He further stated that the company absolutely needs Export-Import Bank to compete on a level playing field. "To not have that, we’re just tying one hand behind our back, as far as I'm concerned". A senior official from one of China’s versions of the U.S. Export-Import Bank told reporters recently that Ex-Im going away would be “a good thing” for China. With congress inability to do its job, it places China and other foreign counties in a better position to offer and sell their goods by offering financing through their banks, putting American businesses and American workers at a disadvantage. There are 85 export credit agencies like U.S. Ex-Im Bank in nearly 60 countries around the world. FAA Proposes $66,000 Civil Penalty Against Centurion Air Cargo, Inc.